The Future of the Fridge: Beyond Stainless Steel | California Home + Design From wooden iceboxes to avocado green enamel to gleaming white plastic, the refrigerator has gone through many transformations. For the last 20 years or so, most remodeled kitchens have opted for stainless steel. But have you ever wondered what’s next? Below are some examples that might clue us in to the future of the fridge. 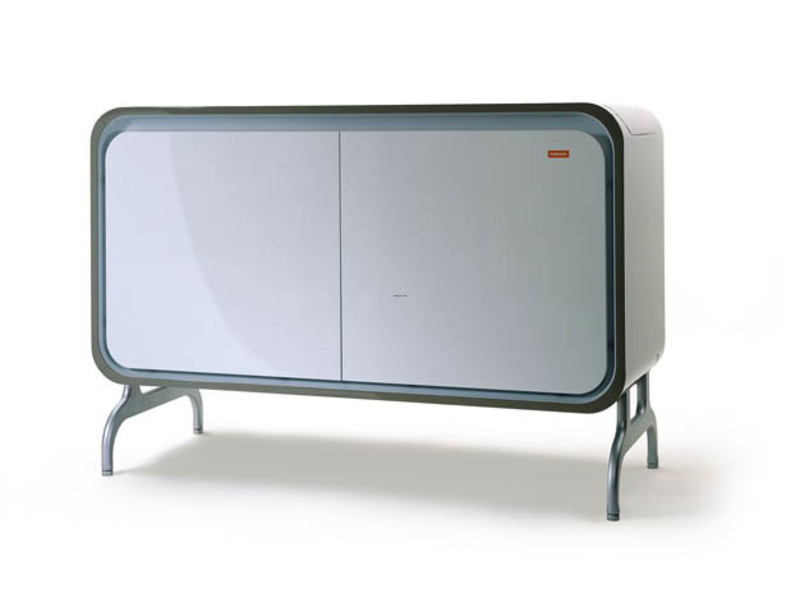 This refrigerator from meneghini is inspired by vintage galley kitchens built on ships. This fully flush fridge by Jenn-Air blends seamlessly with surrounding cabinets. Bring artwork to your appliance with this etched glass paneled fridge by LG. With its hidden handles and chunky wood, this fridge from Siemens looks more like an armoire than refrigerator.